MCAS will be taking place over the next several weeks for grades 3-6. 4th grade kicks us off on Tuesday with the Long Comp. Click here for the full schedule. Mrs. Clark (3rd) and Mrs. Fauteux (6th) are taking a class together called Educate for Success. Offered by QRSD, this course challenges teachers to identify an area of their practice in which they want to hone their skills. The goal is that they will, in turn, become models for other teachers in the district in this area. The list goes on and on but the important thing is that we are teaching the art of respectful conversation while developing children’s meta-cognitive skills. Click here to see some examples of anchor charts created by teachers that illustrate “accountable talk” starters for children. 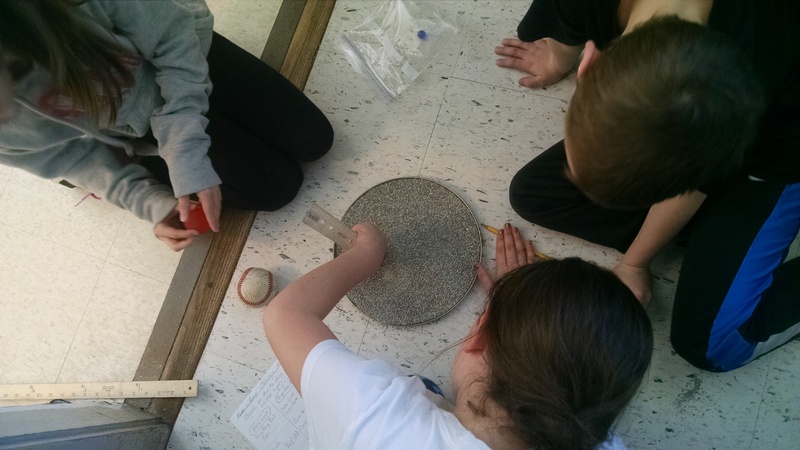 3rd Graders dropped objects from a height this week to compare the craters created! Last night’s movie night was a great event and fun was had by all! Thank you to Karen Lewis, Anne Diaz and all of the volunteers for a great night! 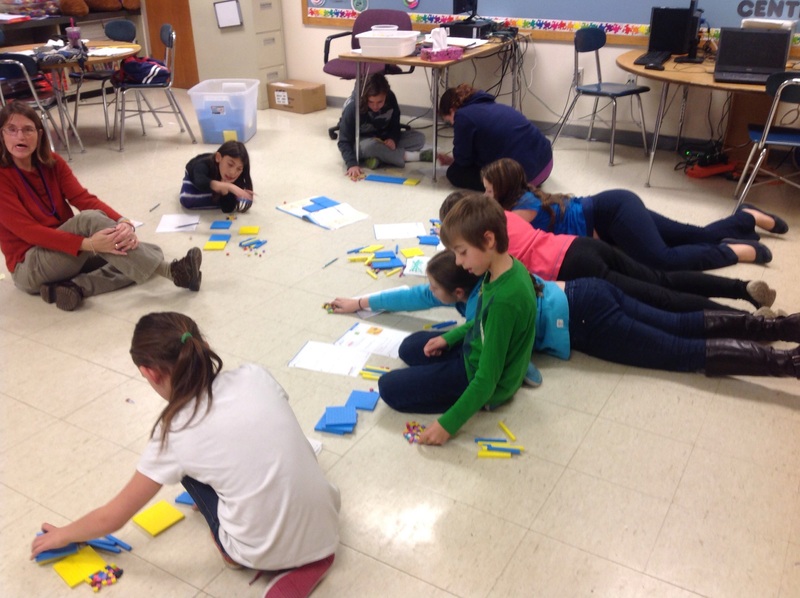 During the 2014-2015 the Quabbin Regional School District implemented a reinforcement/extension block during the school day. The WINN block, which stands for What I Need Now, is a 30 minute, daily block during which all students K-6 are working in small groups based on individual needs. Some students are working on reinforcing skills, others are practicing new skills while others are working to extend new skills. 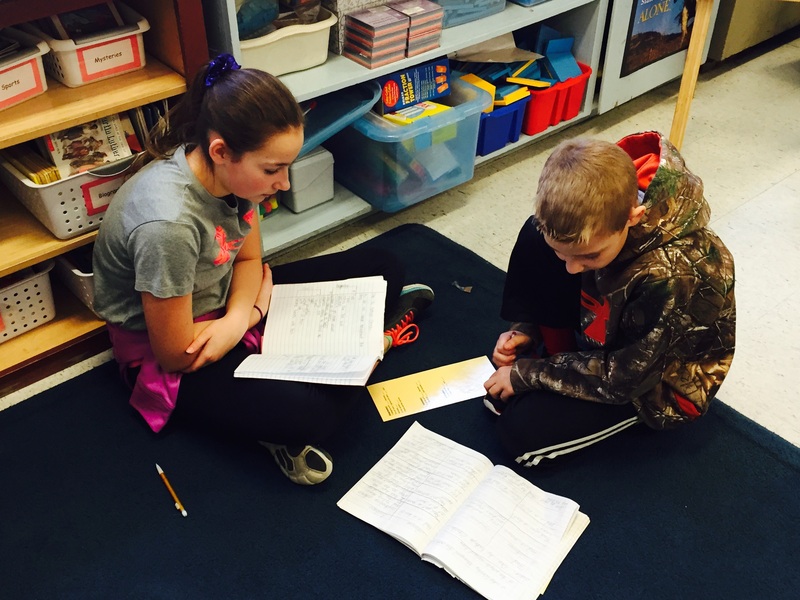 Groups are flexible depending on the need at that time in the school year. 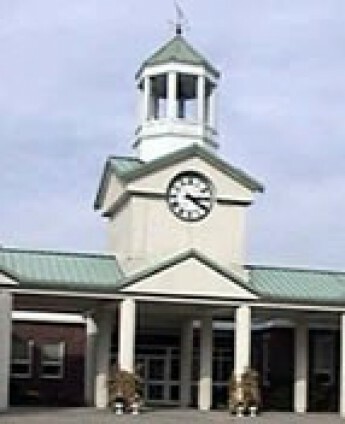 To make this happen, additional adults are assigned to the grade level to decrease the size of groups during this time. The staff available during this time may include: Intervention Specialist (1), Intervention Tutors (3), Special Education Teacher (1), Paraprofessionals (3). In addition to our grade-level teachers, this additional support allows us to provide children with meaningful reinforcement and extension during this daily block. For example, 3rd grade has their intervention block from 10:45-11:15 each day. Seven additional adults join the grade level teachers allowing for ten groups for 75 students. Some groups are as small as three so children can get targeted, intense, daily intervention. Other groups, like the math group, are larger with 16 children playing math games to practice the skills currently being worked on in math class. There is also an extension group of 18 children who are participating in a book club. 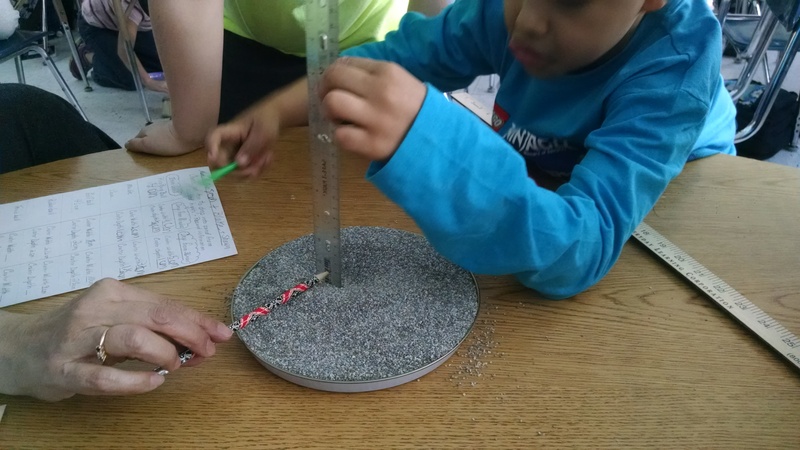 WINN is a valuable block of time as it serves to meet the needs of all learners across the continuum of learning. Click here to access a presentation that speaks to this initiative in more detail. How does your school work to meet the needs of all learners? I hope this email finds you all doing well and enjoying this sunny day. 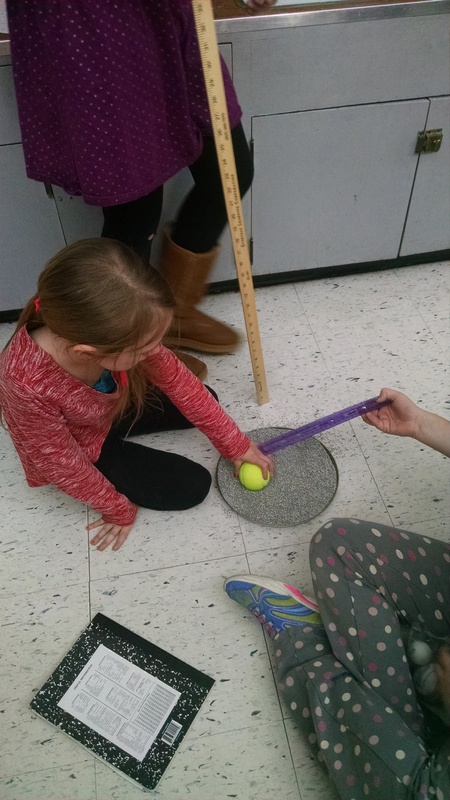 Click here for the latest edition of the Barre Blast was posted and includes information from last week’s Literacy Parent Information Night. If you were not able to attend there are two presentations included within the body of the message on the Blast for you to review. You can also access them here. The first outlines the daily, 30 minute, reinforcement/extension block put in the school day this year for all children K-6. The second gives a comprehensive overview of our literacy program. Do not hesitate to reach out should you have any questions or would like to talk about any of these topics further. 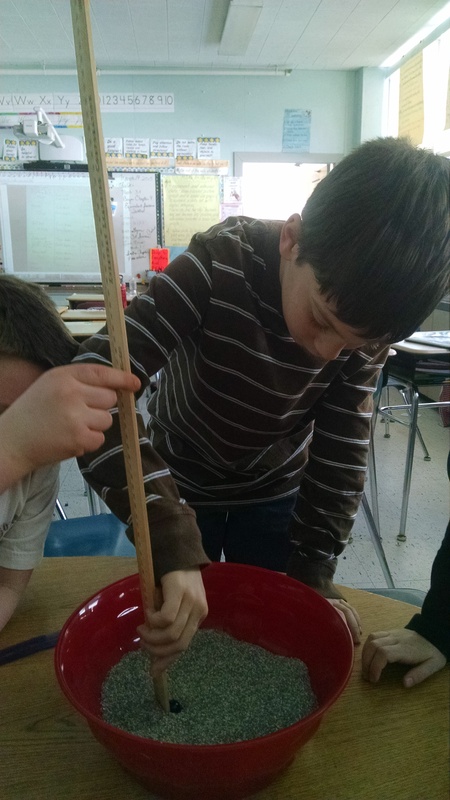 In science class, we learned about the four states of matter: solid, liquid, gas, and plasma. 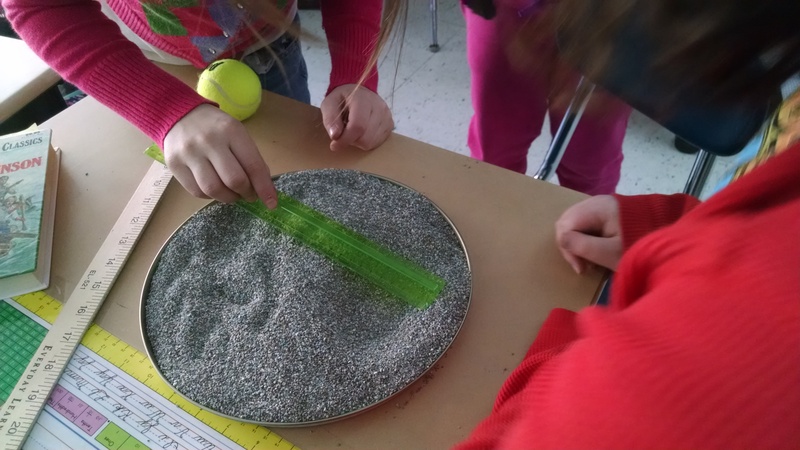 We did projects and experiments to help us better understand these states. 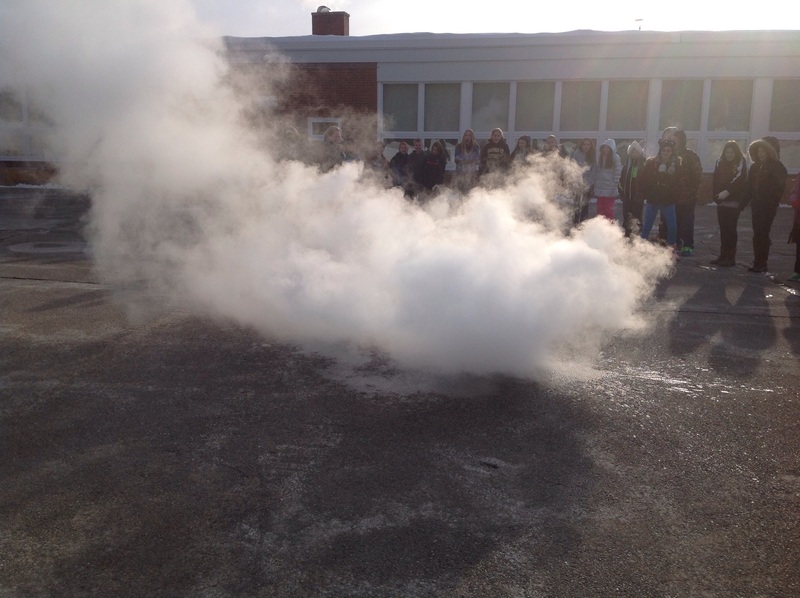 We recently did an experiment with boiling water in freezing temperatures (-20 degree Fahrenheit). When the sixth grade arrived at school, it was -20 degree Fahrenheit outside. 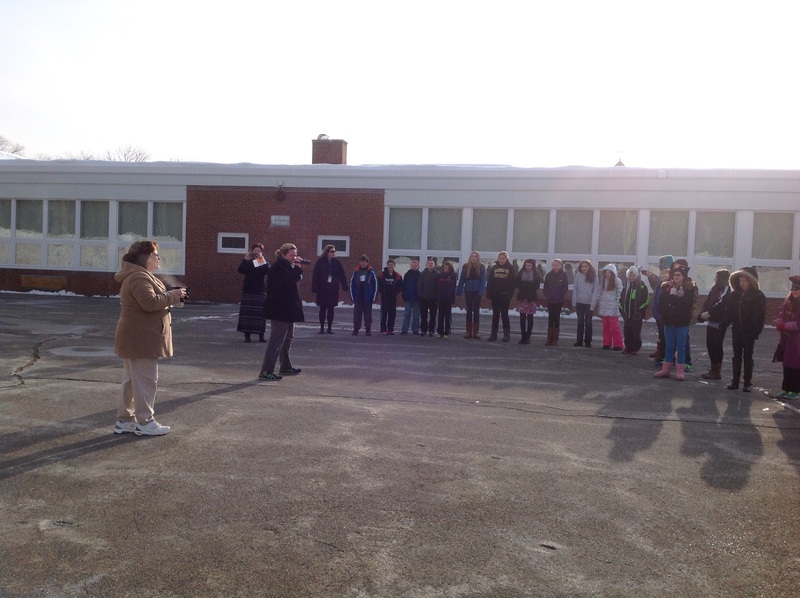 The whole 6th grade went back outside and Ms. McCrone announced that she had hot water (which was boiling for 30 minutes) and that she was going to throw it into the freezing cold air. 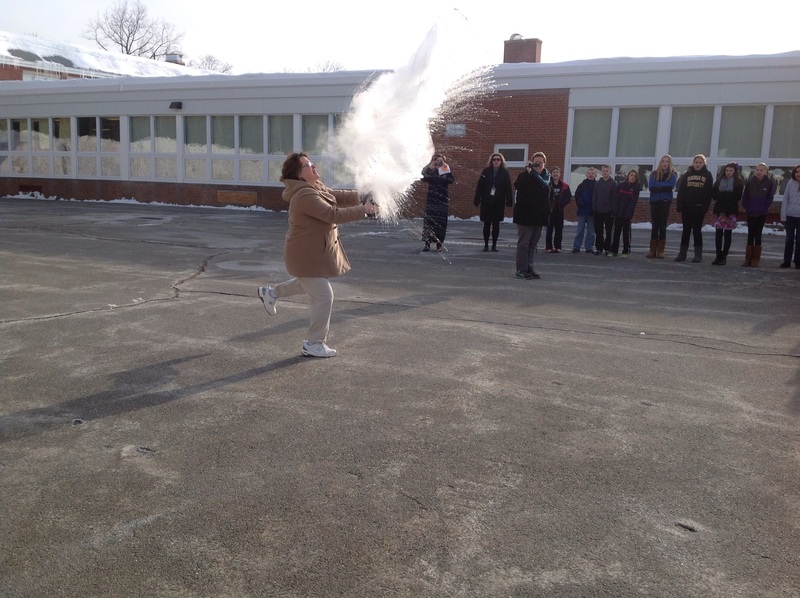 Based on the class work we have been doing, we all thought the water would instantly turn into ice when released from its hot container (freeze in mid-air). That wasn’t the case but we were not far off. The water had frozen in mid air, but not the way we thought it would. 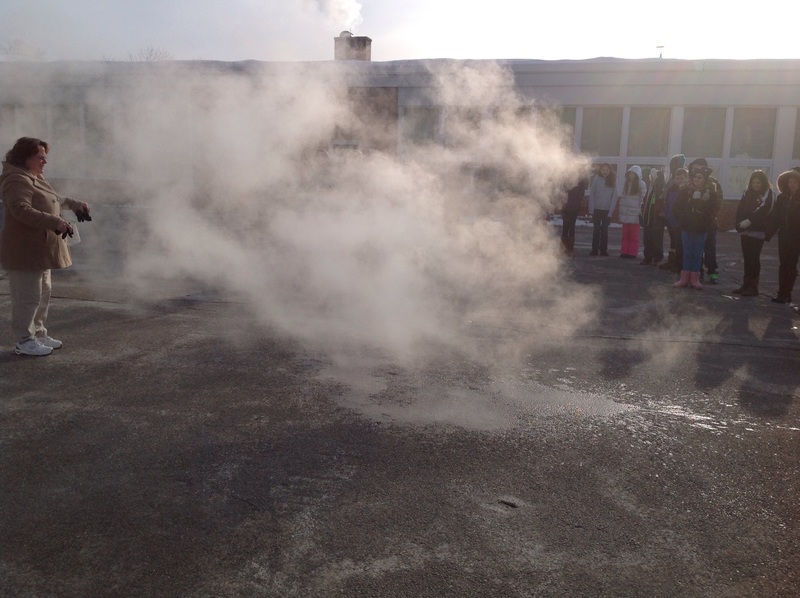 Since the water boiled and it was released into the air, it was closer to steam than water. It broke into tiny water droplets. Because the water droplets had so much surface area, a lot of evaporation took place, quickly taking the heat out of the droplets. This appeared to be a cloud, which was really a cloud of water vapor. 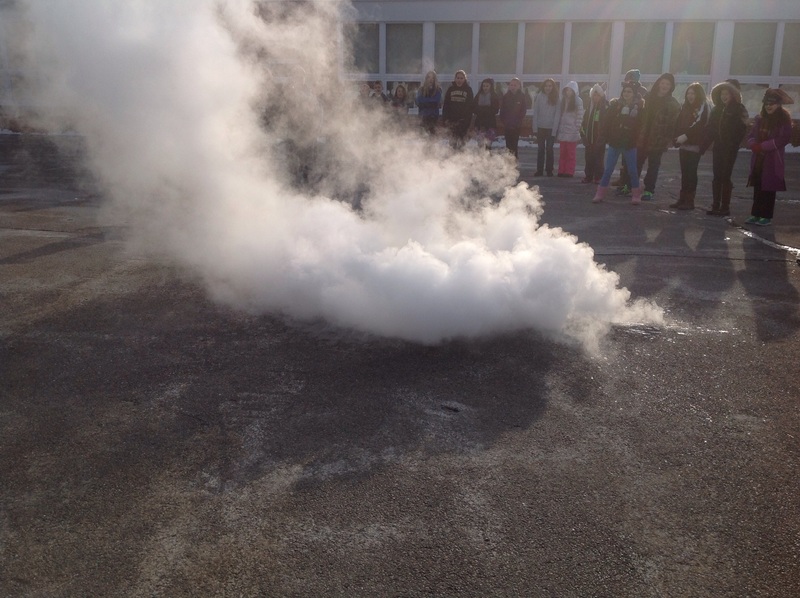 This cloud sank to the ground because it was frozen water vapor and heavy. Who would have thought that we could find a good reason to have -20 degree temperatures!